Ik wil mijn kralen ook altijd gesorteerd hebben. Mooi die houten doosjes! What a great box! I really love your necklace. The minimalism is always a good choice! Great Post! Thanks you so much for your comment on my blog ;) ! If you want there's 3 items totally made in FRANCE to win if you enter my give away ;) it's very simple! 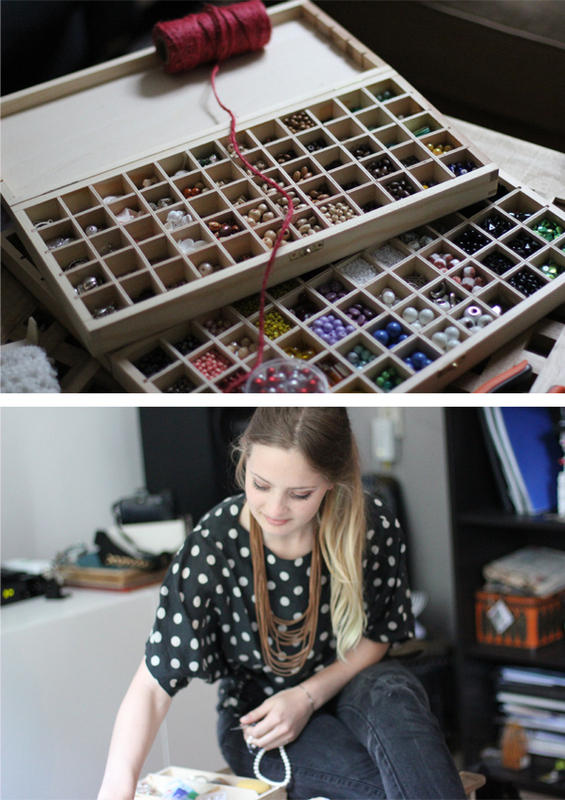 I love all your beads, so gorgeous :) I just followed you via GFC, hope you can visit my blog and follow back if you like it <3 P.S. Thank you for your recent comment on my blog post! Great way to keep them organized! You have so many. Love it! 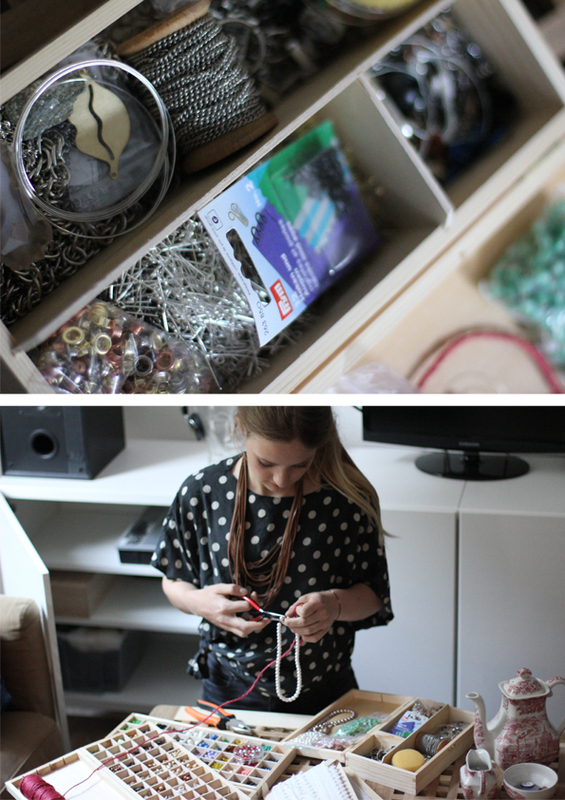 I love all the drawers and compartments - you are so organized, it looks great! Did you mean autistic or neat-freak :p Anyway, I love having my things tidy and in its place, but I'm so utterly lazy when it comes to actually keeping them in their place..I'm terrible, I know (shamefaced). I love your hair here..
Haha well I'm definitely a neat freak, but I guess a bit too much of it. I don't like people nosing through my stuff because they don't put it back the way it was. So, my friends sometimes call me an autistic person, well I guess everyone has some strange habits. oh wauw superleuk, verkoop je je juwelen ook dan? leuk topje ook ! Nee, gewoon leuk om af en toe iets te maken. Wel voor vrienden zo nu en dan! 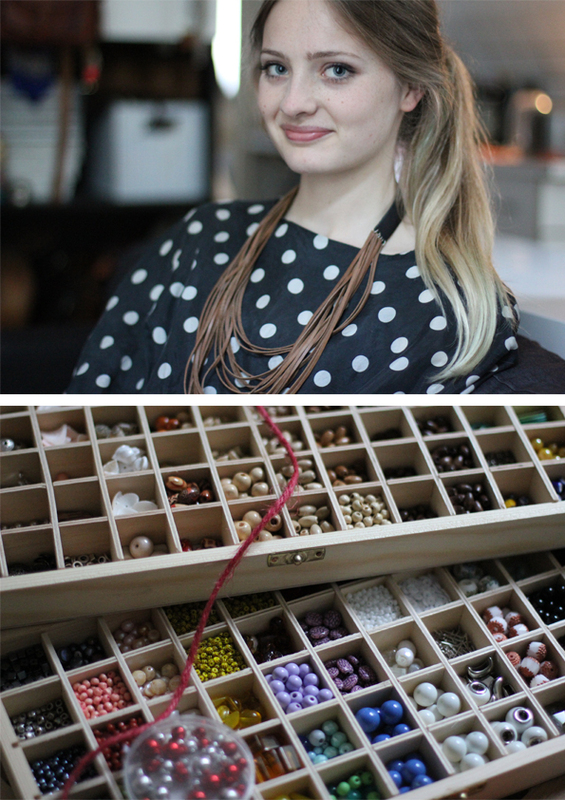 It's nice to be organized and looovee those beads. Maak je ook DIY juwelen? Heb wel wat posts waarin ik zelfgemaakte sieraden draag, ook DIY posts zodat je ze zelf ook kan maken.